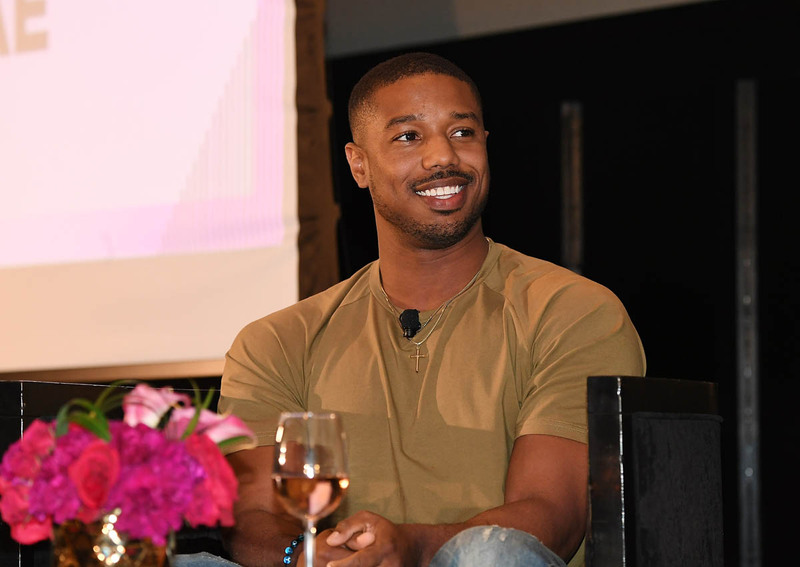 Michael B Jordan reportedly dating Ashlyn Castro and I'm FINE! I knew this day would come. I knew that one day my blissful delusional relationship with Michael Bae Jordan in my head would be dashed by reality as soon as MBJ was seen in public with someone else. Lupita Nyong’o excluded. The day has come and I still wasn’t prepared. To everyone messaging me to ask if I’m OK, the answer is that I’m doing as well as can be expected. If you read this headline and thought, “WHO THE F-CK IS ASHLYN,” know that I’ve been yelling the same thing all morning. First, let’s visit the photos that simultaneously turn me on and burn like pouring Don Julio directly into my heart. Michael Bae Jordan was pictured at a club in St. Tropez chugging straight from a bottle like the King that he is while dancing with a woman who has been identified as Ashlyn Castro. I saw the photos first on The Shade Room’s Instagram account. They call her a “lady friend.” I don’t love it when outlets refuse to use a woman’s name and essentially turn her into an inanimate object attached to a man so I’m glad that we know Ashlyn’s name. I was OK with Ashlyn until she upgraded from “woman in a club” to “rumoured girlfriend.” Woman in a Club is temporary. Woman in a Club could mean that it was just one night. Rumoured Girlfriend is a whole different thing. Rumoured Girlfriend means that my chances of sliding into his DMs and becoming Mrs. MBJ have gone down significantly. I already said I was delusional. Don’t @ me. Apparently Michael and Ashlyn have been dealing with each other since December. If you need me for the rest of the day, I’ll be listening to Drake’s “In My Feelings” while eating my feelings.